It’s that time of year when every website posts gift guide lists full of e-commerce links in the hopes that their readers actually buy something so the site makes a little extra cash on the side. Absolutely disgusting, truly. So welcome to the official PSXBoxIndies Holiday Gift Guide! Running a site dedicated to almost exclusively download-only indie games does make creating a gift guide a little difficult, however, so our gift guide includes mostly smaller stocking stuffer-type gift ideas for the PS4, Xbox One, and Nintendo Switch. Continue reading for ideas on all the gifts you never knew anyone wanted but now can’t possibly live without. PSA: Even if you don’t buy the stuff we link to if you buy anything at Amazon after going through our links it still helps the site. So click away and happy shopping. The first, easiest, and most obvious gift idea for a gamer is PSN, Xbox Live, or Nintendo eShop cards. With these digital currency cards the recipient can then buy any game they want. Just make sure you buy a card / code for the right system! You can buy either a digital code and simply print it out, or order a physical card. 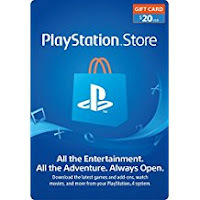 The second easy and obvious gift idea is online gaming subscription cards. The PS4 and Xbox One / X360 require a paid subscription in order to play online so giving a gamer a few extra months or a year worth of Xbox Live or PSN isn’t a bad way to go. Also, available only on Xbox One, is the EA Access subscription service. With EA Access you get early access to new release games to play them for free for up to 10 hours a few days early, discounts if you decide to buy them, and access to a vault of older EA titles that you can play for free as much as you want. There are a ton of great games available on EA Access and new games are added to the vault all the time. This is a great value. Keeping controllers charged is also very important for gamers and can make a handy stocking stuffer gift. The Xbox One can use any “AA” batteries, so we suggest the Eneloop rechargeable battery kit. They charge fast, are relatively inexpensive, and last a long, long time. I personally swear by them. 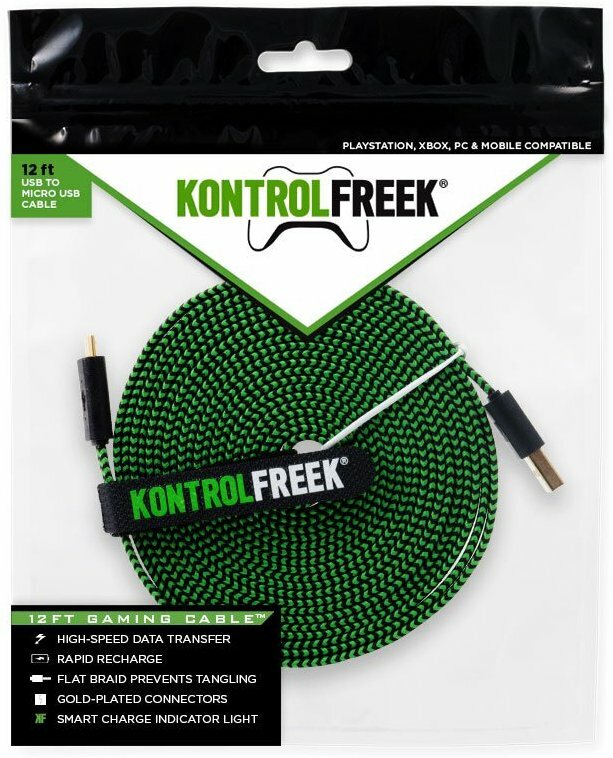 The PS4 controller’s built in battery charges via USB cable, but the cable the system comes with is pretty short and kind of drab, so why not perk things up with a 12-foot KontrolFreek Gaming Cable available in a range of different colors. The end of the cable also has a light on it so you’ll always be able to easily find it, even in a dark game room. KontrolFreek also has a line of HDMI cables with the same flat braided design as the USB cables so they don’t get tangled easily. HDMI cables aren’t exactly the flashiest gift, but having an extra isn’t a bad thing, especially when they actually look kinda cool. 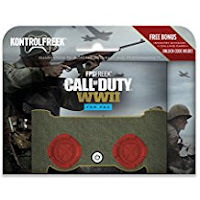 Of course, KontrolFreek is best known for its line of controller stick tops that can actually improve your performance in a wide range of games by giving the sticks more travel and, thus, more precision in their movement. A set of KontrlFreek caps are fairly inexpensive and make for a cool gift idea. They are available for Xbox One, PS4, and Switch. Make sure you buy for the correct system as they are not one size fits all. Extra controllers are a solid gift idea, too. 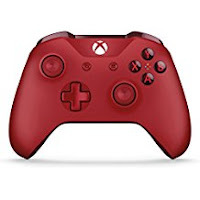 I have to strongly suggest only buying first-party official pad (as in, made by Microsoft, Sony, or Nintendo) because third-party pads are pretty poor. Third-party pads may be cheaper, but they cost less for a reason – they aren’t as good – so buy official pads. Controllers come in a huge variety of colors these days, so give the recipient a new controller in their favorite color for a double win! The Xbox One and PlayStation 4 both allow the use of external USB hard drives for extra storage, which is pretty much a necessity these days because games are huge and the systems' internal hard drives fill up extremely quickly. Any USB 3.0 hard drive will work, so you can buy any size and speed you like. Again, this doesn’t seem like a flashy gift idea, but you’ll be surprised how much a gamer will appreciate having some extra space. Out final suggestion is gaming action figures and memorabilia. Funko Pop figures in particular are a solid choice as they are inexpensive and cover a broad range of not just gaming but all geeky culture franchises. 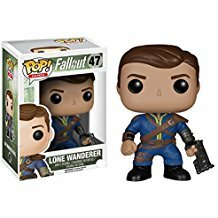 Find out what your recipient’s favorite game or movie is and get them a figure!